Note: Due to time constraints and a lot of work to do this list hasn’t been updated in quite a while and doesn’t necessarily reflect the current state of developments. Sometime in future I will redesign this website entirely. I have worked at artistShare for a while, mostly doing the HTML coding (including some of the artist’s websites) and implementation of ASP.NET applications. I also did some minor graphical works on some of the artist’s websites (such as ingridjensen.com). This was in the very beginning of my career. I designed the new website of reFX, a company producing music production software. Commissioned by Adam London I was part of the development team for the redesigned ProStores website. Responsibilities: front-end development (XHTML/CSS) and graphic optimization. 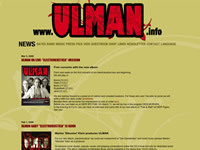 I developed the website of the band ULMAN including XHTML, CSS, and full setup of and implementation into CMS Made Simple (with basic e-commerce functionality) and also created their MySpace layout. 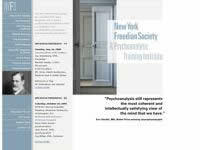 Spreadyo is a new social web site where people can post their opinion and find mindbuddies worldwide. I coded some of the website templates for later implementation into a CMS. Saxophonist Bastian Duncker and guitarist Clemens Oerding formed the Duncker-Oerding-Duo and commissioned me to develop their new website. I did the design, coding, and implementation with a content management system as well as designing their business cards (in the style of the website). The website of the jazz big band Spielvereinigung Sued (which I happen to be a member of) is completely my creation from design to development. Responsibilities: graphic design, front-end development (XHTML/CSS/JS), and CMS implementation. 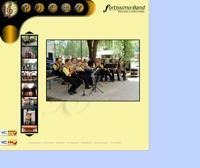 In the fortissimo-Band are some of my friends and I’ve modernized their old website (originally with frameset) quasi as a complimentary job. I did the complete design and coding work. The only thing that is left from the original website is the navigation bar. I coded some website templates (in XHTML & CSS) for the custom SMS (Site Management System) of Husky Zone Webdesign which provides website design and hosting in the Faribault area of Minnesota. 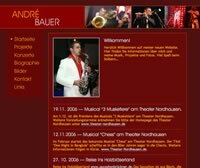 André Bauer is a saxophone player and musical colleague of mine, based in Leipzig, Germany. I designed and coded his personal website. A website I designed and coded entirely is the website of the funk and soul band Black Coffee (where I’m actually playing trombone). Designed by the great London based designer Vishnu Prakash the new website of the web hosting provider BlueWho needed to be coded and implemented into a CMS (which I did, of course).